The Affordable Care Act has given more Colorado residents than ever access to quality medical coverage, increasing the number of people receiving healthcare services. That, coupled with the aging population, means that the nursing profession is growing rapidly in the state and nationwide. In fact, the Colorado Center for Nursing Excellence expects about 2,000 nurses to retire each year for the next 10 years, leaving a large deficit in the workforce. As a result, there is a need for new registered and advanced practice nurses in Colorado. 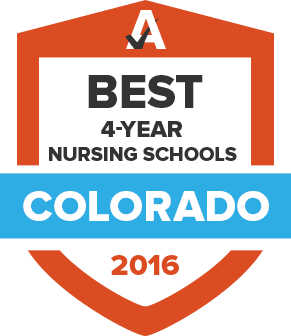 If a career in nursing is something you wish to pursue, or even just explore, keep reading to learn more about Colorado nursing schools and nurse licensure requirements. In order to ensure that Colorado’s nurses are highly skilled, the state enforces stringent training requirements, including comprehensive hands-on training in addition to classroom coursework. The application process for nursing school can be competitive, as cohort programs are generally kept small to ensure students receive the best education possible. To address the nursing shortage, some schools are working with the state to expand enrollment, which would allow colleges to keep up with Colorado’s nursing demand. For example, Metropolitan State University of Denver has been permitted to increase the number of students it can admit to its accelerated and traditional nursing programs. Other schools are expected to petition to do the same. Use the search tool below to browse and filter nursing programs and find a school that best fits your needs and career aspirations. Nurses must hold an active license to practice and each state has its own specific requirements for registered nurses, nurse practitioners, nurse anesthetists, and nurse midwives. Qualified individuals can receive a nursing license through the Colorado Board of Nursing, which is charged with enforcing the regulations that guide the state’s nursing education and profession. Outlined below is a list of eligibility requirements for first-time applicants, renewal information, and how to earn certification as an advance practice nurse in Colorado. Provide evidence for completion of an approved nursing program. For graduates of traditional programs, this includes official transcripts sent directly to the Division of Professions and Occupations Office of Licensing. For graduates of non-traditional programs, individuals must complete the Student Permit application process and send the completed Skills Checklist to the Division of Professions and Occupations. Lastly, for students educated and trained outside the US and its territories, submission of the CES credentials review “Professional Report” from the Commission on Graduates of Foreign Nursing Schools is required, in addition to Test of English as a Foreign Language results. Create a Healthcare Professions Profile. Applications without a profile will be considered incomplete and a license will not be issued. Nurses in compact states can hold only one compact license and it must be issued by the applicant’s primary residence. If an applicant declares his/her primary residence is a non-compact state and meets all other Colorado licensure requirements, a single-state license will be issued and valid for practice only in Colorado. RNs with an active license in a different state can apply for Colorado licensure by endorsement. Verification and a fee will be required. Licenses for all Colorado registered nurses expire on September 30 of even- and odd-numbered years depending on the date of initial issuance. Individuals who received a valid license before June 2 will have a license that is set to expire that same year and, as a result, will need to renew it during the upcoming renewal period. All RN licenses issued after June 2 will be given a license with the subsequent expiration date. Nurses in Colorado are not required to earn continuing education hours for license renewal. However, registered nurses are required to maintain a health profile through the CBN, disclosing specific information that is accessible to the public. Information includes disciplinary action, criminal convictions, malpractice, and surrender of prescriptive rights. For more information about advanced practice licensing and renewal in Colorado, visit the Colorado Board of Nursing website. According to the national Health Resources and Services Administration, by 2025 there will be 46,100 nurses working around the state. However, this will not be enough to address the health care needs of Colorado’s population. In fact, the agency expects that there will be a 12,900 deficit in the number of nurses needed to take care of patients. This is a trend that the US Bureau of Labor Statistics expects to see in states around the country. On a national scale, the agency predicts that between 2014 and 2024, there will be a 16 percent increase in the number of available jobs for registered nurses. And while salaries for Colorado nurses are very similar to the national average, they do vary slightly, depending on the specific geographic location. The Colorado Nurses Association is dedicated to supporting members of the professional community around the state. It advocates for all of the state’s registered nurses and facilitates professional development in an effort to maintain excellence in education, practice and research. The Colorado Society of Advanced Practice Nurses provides services for nurse practitioners, nurse midwives, clinical nurse specialists and nurse anesthetists. It promotes the role of advance practice nurses and provides resources for them to enrich their practice. The Public Health Nurses Association of Colorado is an organization for nurses who specialize in public health in the state. It advocates for public policies to improve community health and provides education and network opportunities for public health nurses. Colorado nursing students can join the Colorado Student Nurses Association to receive support as they train to enter the field. It helps to better the personal and professional development of aspiring nurses by introducing them to additional leadership and educational opportunities. The Colorado Emergency Nurses Association has advocated on behalf of emergency care nurses, as well as patients who receive emergency care, since 1970. The organization provides volunteering opportunities and advocacy for emergency care nurses in the state.